To start the new year Mummy To The Max has teamed up with Hedrin to offer one lucky reader the chance to win a bottle of Hedrin Protect & Go. Hedrin Protect & Go is a clinically proven head lice protection spray which offers parents greater control in the battle against head lice. 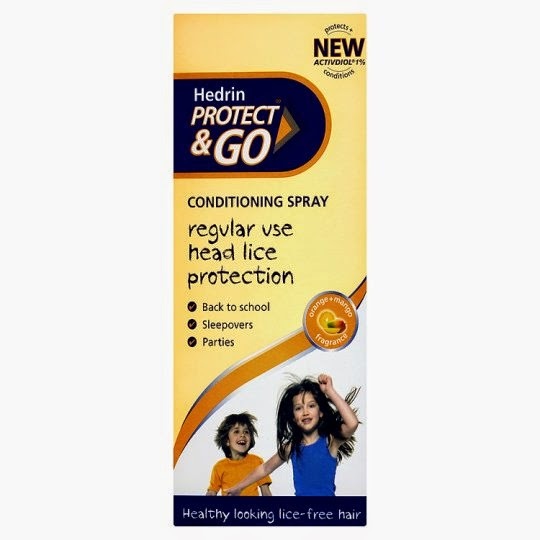 Hedrin Protect & Go is a fuss-free spray which, when applied twice-a-week, protects children from the parasites by breaking the life cycle and killing lice before an infestation can be established. The protection spray contains an organic compound called 1,2 octanediol which disrupts the life cycle of head lice preventing their spread. It is easy to apply and dries naturally leaving the hair looking healthy and conditioned. With a RRP of £4.29 for 120ml, Hedrin Protect & Go is available from Boots, pharmacies and leading retailers nationwide. It is skin friendly and contains no known asthma triggers. To enter our Hedrin competition all you need to do is simply enter the simple rafflecopter below!